All hands ahoay! It’s that time of year again. A Pirate” Day. To celebrate, Cap’n Barnacle Don here at the Rocky Top Wine Trail has arranged for a special shipping deal for those of you scallywags ordering wine from us on Davey Jones favorite day of the year. Yo Matey’s. Check this out. Place your wine order between 12:00 AM and 11:59 PM on Wednesday, September 19th to receive a $20 flat rate shippingfee for each of your shipments. You’ll save a few doubloons and your hearties will be jealous of your booty (wine! Jealous of your wine!). 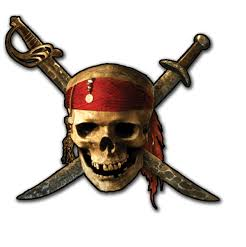 If you prefer to call us with your order, you’ll need to talk like a pirate to get the deal. A good “Aaarrrrgggghhh”, or “Thar she blows”, or “Heave ho, ye Landlubber!” should do the trick. Savvy? If we’re especially impressed with your pirate lingo you’ll likely receive some extra loot in your wine shipment. Alas, whence this day ends this offer will go the way of Davey Jones’ locker.